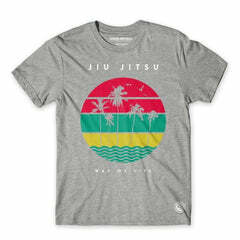 Our BJJ gi sale is the place to pick up bargain fightwear from your favourite brands. We’re always adding new styles to our sale range and alongside our BJJ gi sale you can also stock up on t-shirts, rash guards, grappling spats and more. Don't be put off by the fact these products are in the sale, this is the place to pick up quality fight clothing for less, with discounts on this seasons stock and must have designs. Our sale range includes products for men, women and kids too, so it's easy to kit out the whole family in their favourite fight brands. Our BJJ gi sale is the only place to pick up great bargains on brands like Maeda, Progress Jiu Jitsu and Roll Supreme, with massive savings on RRP. Shop the BJJ gi sale today for essential gis, fight clothing, accessories and more from Fighters Market EU.